Why should you embed your Photo Collage vs. a JPG? 3. You can manually change the size of the interactive photo collage. How do I embed my Loupe photo collage on my blog? 4. 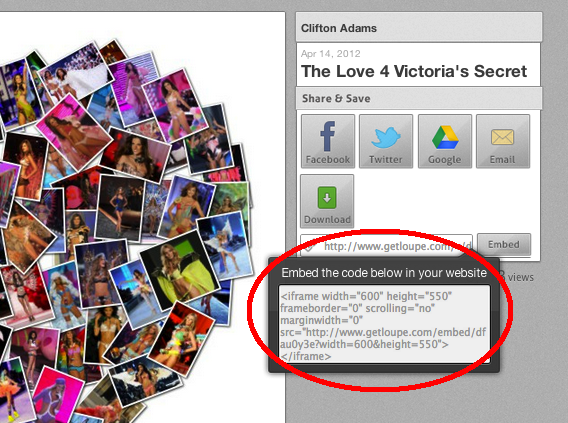 Now paste your code where you want the interactive photo collage to be. Publish your new post and voila! 5. The height and width is currently preset but you can adjust it to fit your blog in HTML. It should look something like this. Go head — Scroll over the Victoria’s Secret Models!